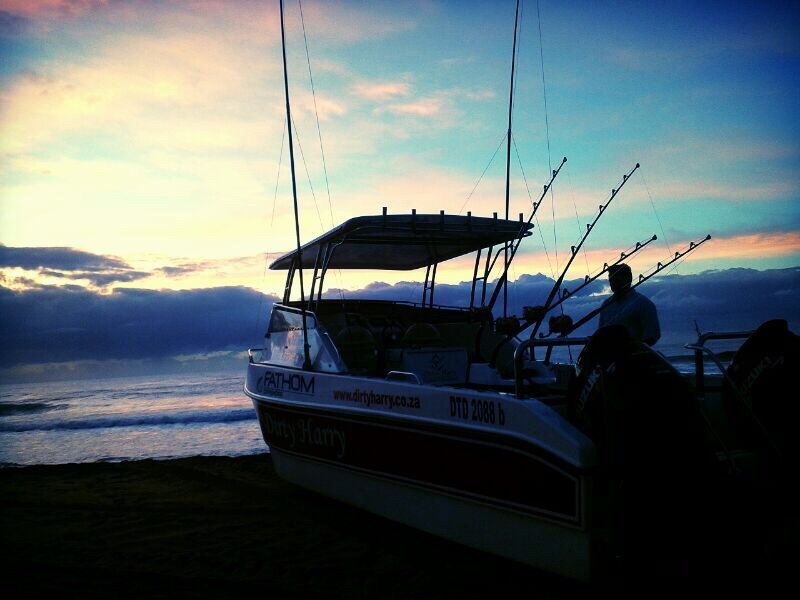 Dirty Harry Fishing Charters was esablished in 2002 by Craig Harris and are recommended by and affiliated to KZN Tourism and are fully licensed and approved by the South African Marine Authority. Our flag ship, BIG DIRTY HARRY , is a magnificent 24ft Tomcat powered by X2 200 Suzuki outboard motors. BIG DIRTY HARRY is fitted with top of the range Lowrance High Definition GPS & Fish Finder. We can accommodate up to 9 people on this craft. This magnificent vessel is extremly comfortable fishing in all sea and weather conditions. 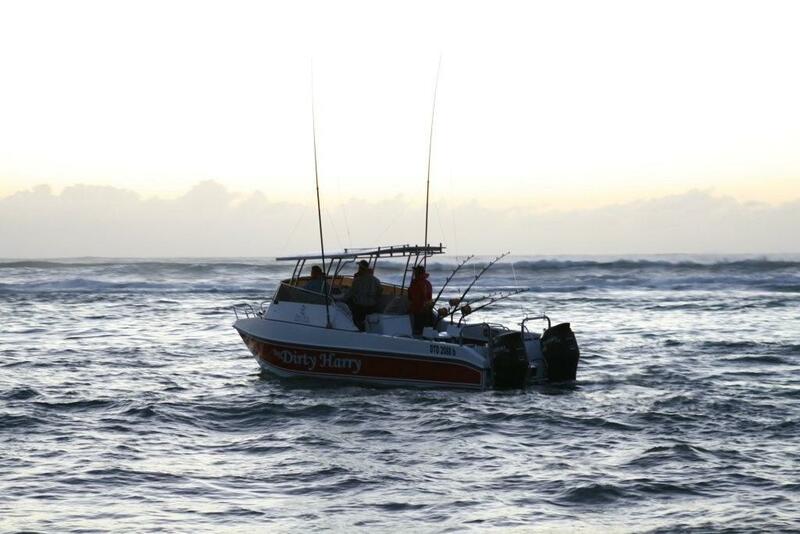 Our walk around 19ft vessel can accommodate up to 5 people and is perfectly suited for fishing. We operate from Ballito, the Durban Harbour and right up to Cape Vidal and Sodwana. Together, both boats can accommodate a group booking of up to 14 people. Night Fishing Trips in winter are available to target Salmon and Geelbek and are highly recomended . This is an awesome and unique fishing experience!